West Ham have reportedly launched an ambitious bid to sign Chelsea striker Salomon Kalou, who has also been linked with Arsenal and Liverpool. The Ivory Coast international, who is currently away on international duty at the African Cup of Nations, is out of contract at the end of the season and has been linked with a number of clubs over the past few months. According to reports, West Ham are lining up a loan bid for the forward after Sam Allardyce cooled his interest in Nikica Jelavic. 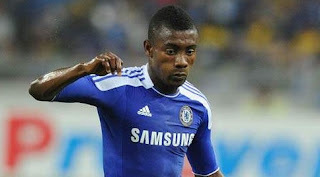 Everton, Paris Saint-Germain, Tottenham and Russian duo Anzhi Makhachkala and Lokomotiv Moscow have also been linked with Kalou, who could still choose to leave Chelsea on a free transfer at the end of the season.